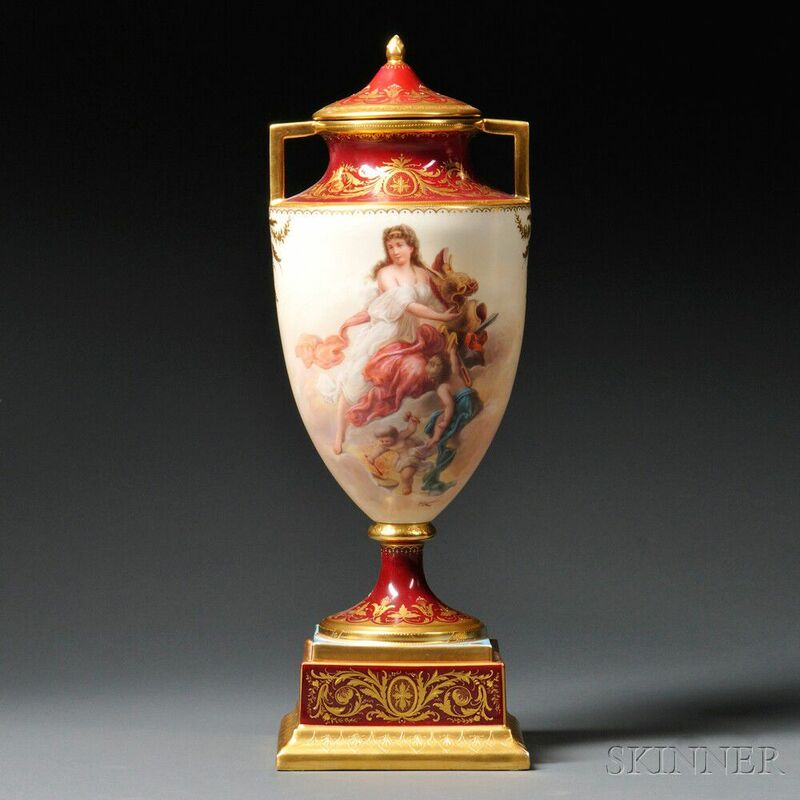 Vienna Porcelain Vase and Cover, 19th century, gilded trim and raised foliate border to a burgundy ground shoulder, socle and plinth with central enameled allegorical groups, titled Feuer below the base, artist signed Ahne and beehive mark, ht. 20 1/2 in. Cover: Scattered gilt wear to finial and surrounding border. 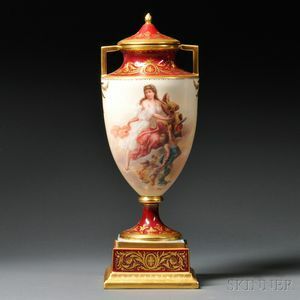 Vase: Gilt wear to corners of plinth.